Spring is here, and so is my first sale of the year. For the next 6 days, you can pick up both of my digital products for more than 50% off. This includes my popular and lauded Lucid Immersion Blueprint (Advanced Edition only) as well as the useful Sleep Paralysis Kit. Or you could get “everything and the kitchen sink” — the Ultimate Dreamer’s Kit — and save even more, for a total of 60% off. To be clear, Dream Like a Boss is not available yet. This sale’s proceeds will help me fund the project’s completion. Ya’ll know I only do a couple sales a year. 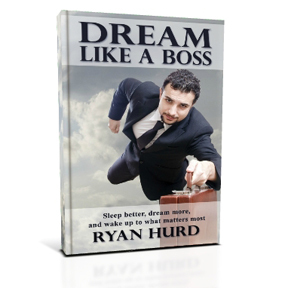 This time, I am “bootstrapping” my next ebook series, the two volume set Dream Like a Boss. Proceeds from this week’s sale will get this new project off the ground sooner than later! Sale ends Monday March 11 at Midnight, Eastern Daylight Time. For specs, reviews, pricing and ordering, check out the products page here, and find out what works best for you.